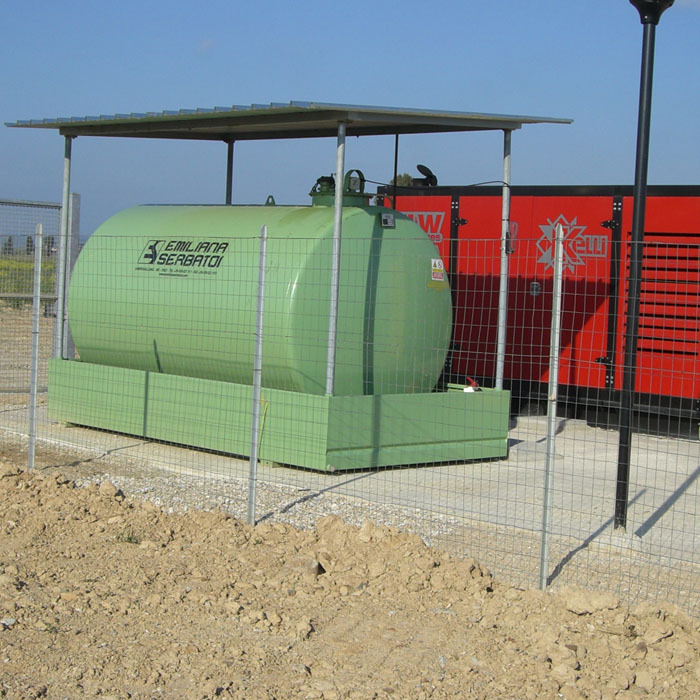 Fuel storage and feeding tanks for generating sets and heating systems. Manufactured in compliance with DPR n. 1391 of 22 December 1970 and according with the requirements of the Circular Letter n. 73 of 29 July1971 issued by the Ministry of the Interior. 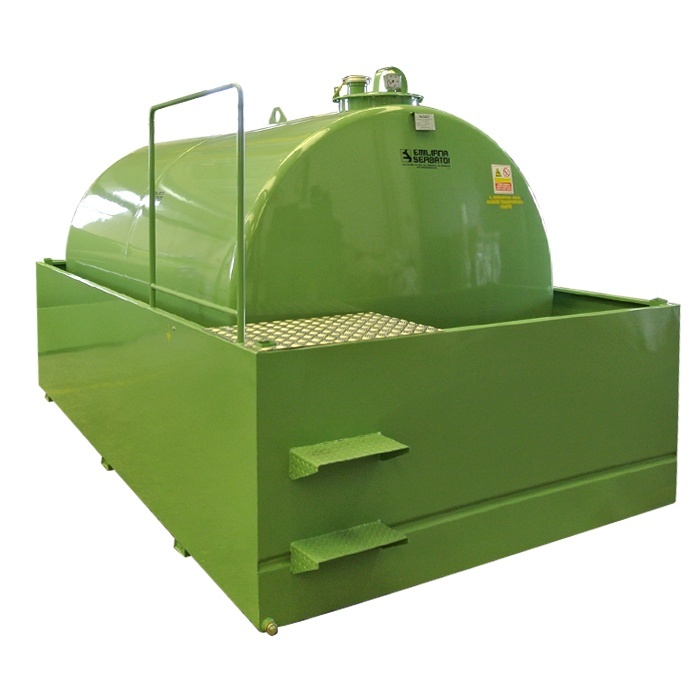 They are horizontal or verticale cylindrical tank manufactured by using shell plates and dished ends made of carbon steel quality S 235 JR according to UNI EN 10025, watertight electro-welded (submerged arc welding process), provided with anti-roll supports, primed with a rust preventing layer and finished with a layer of green paint. 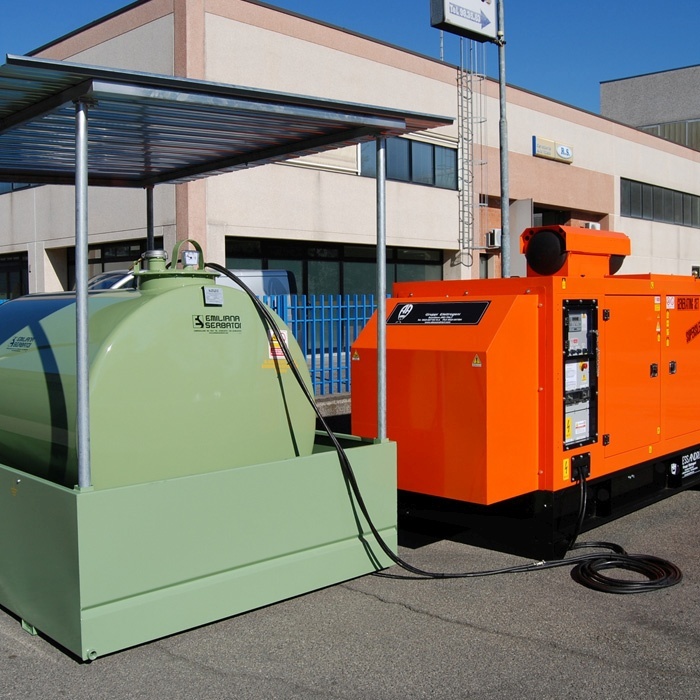 Standard Capacities: 490, 1000, 1300, 2400, 3000, 5000, 7000 and 9000 lt (larger capacities on request). 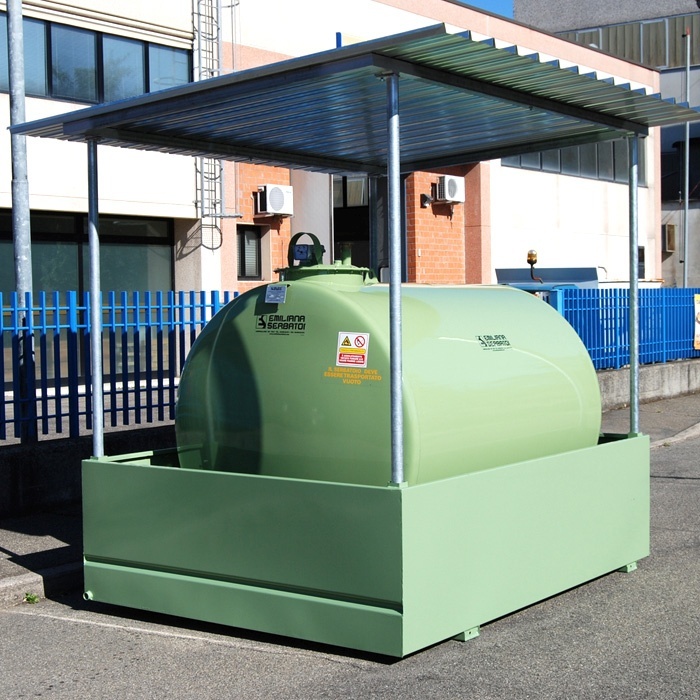 Ø 400 mm manhole complete with oil gasket and tight bolted cover, 3” lockable filling quick plug, mechanical overfill prevention valve calibrated to interrupt the fuel flow at 90% of the tank’s geometric capacity, vent device with flame arrestor mesh, mechanical float operated tank contents gauge with planetary gear, adjustable scale in cm. 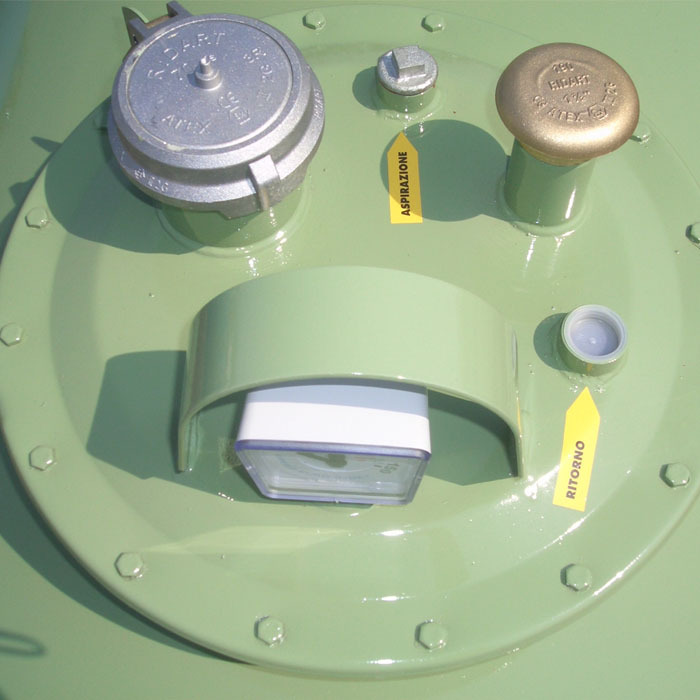 N. 2 suction and return plugs, size 1", ready for connection with gen sets, or other equipment. 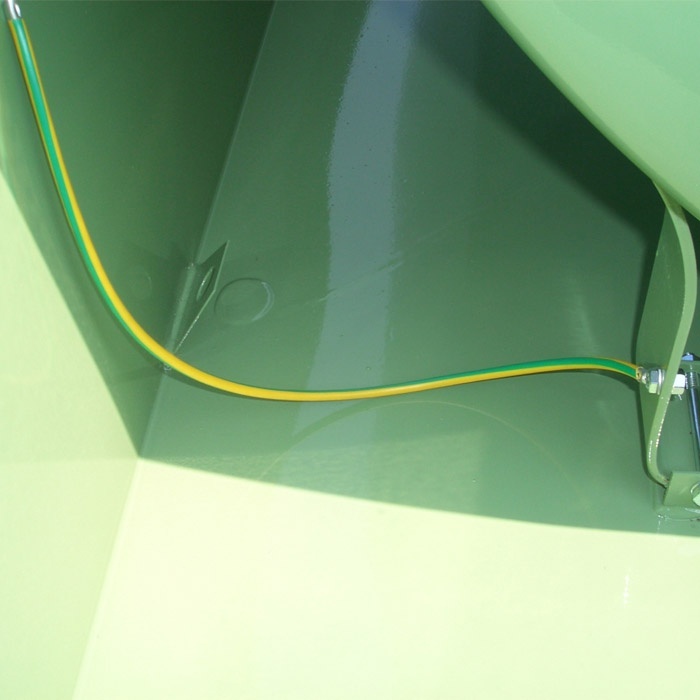 Suction line is completed with foot valve and strainer. 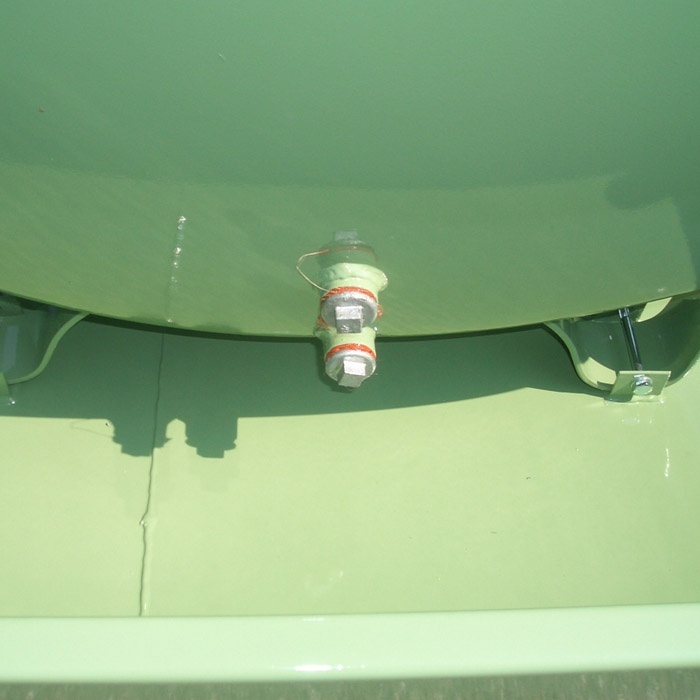 Drainage point provided with a safety cap for routine maintenance and cleaning. One point ready for earthing and equipotential connection. 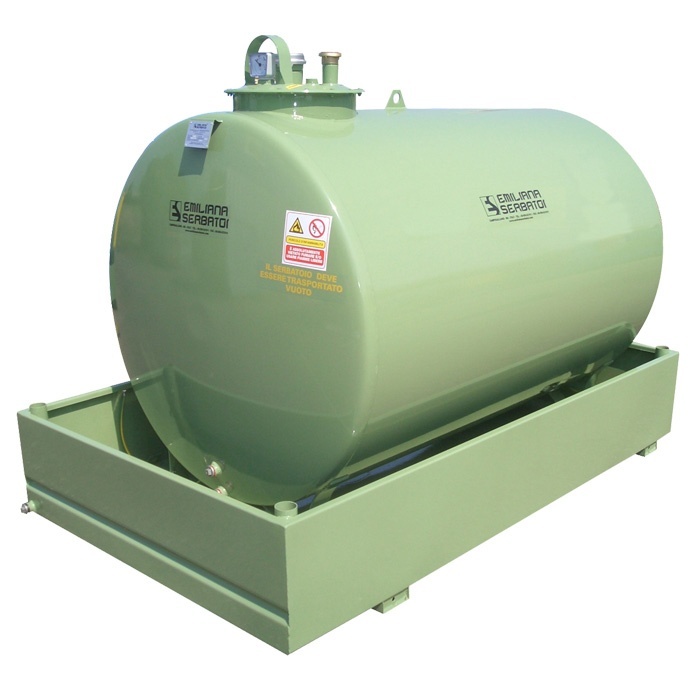 Containment Basin: made of carbon steel sheets, self-supporting base frame designed to be bolted to the tank’s bottom supports; it can be placed on any type of surface (even for permanent installation) and is designed according to the capacity of the tank (generally 50% or 100% of the volume of the tank ). 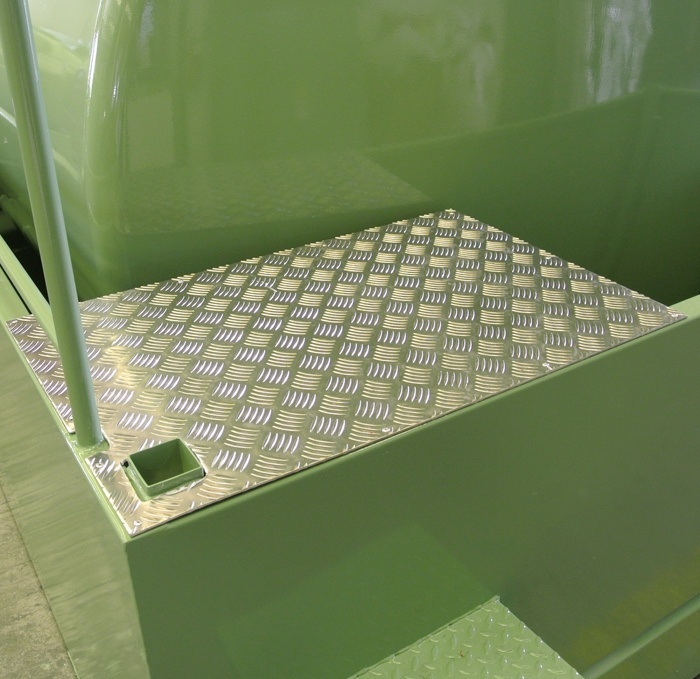 It is provided complete with lifting plates, earth connection point, drain plug for routine maintenance and cleaning and n° 4 housings suitable for fixing the uprights of the roof system. 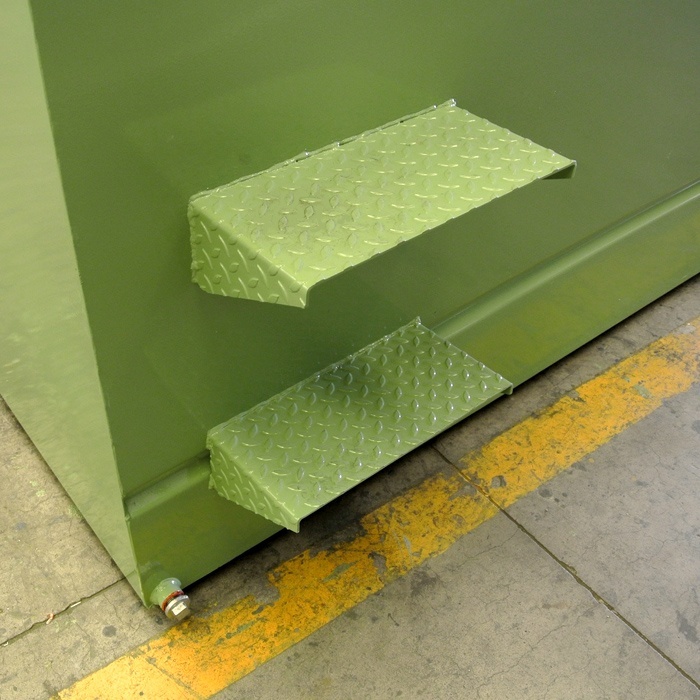 It is completely primed with a rust preventing layer and finished with a layer of green paint. 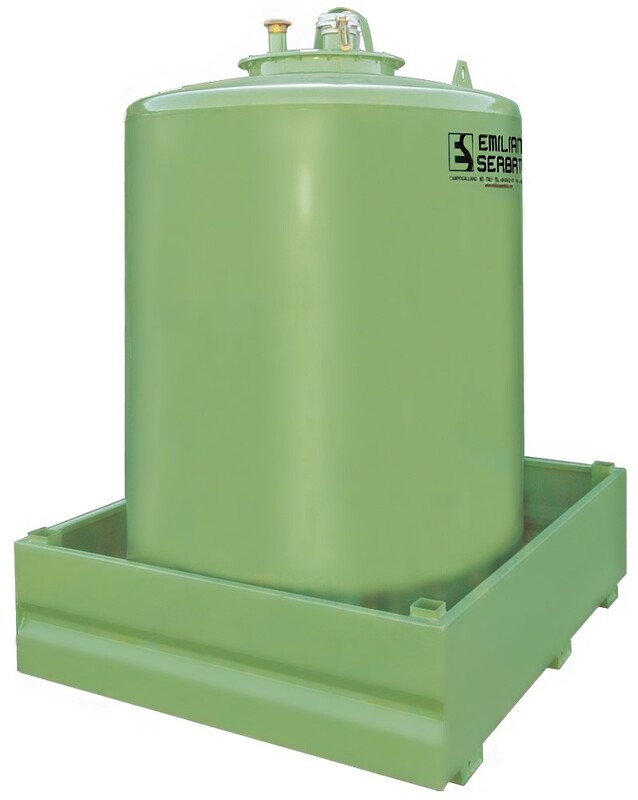 Roofing (optional) : roof system for protection against weather conditions, composed of a strong zinc-coated steel frame on which is fixed a self-bearing zinc-coated trapezoidal metal sheeting; it is designed to be easily and rapidly mounted and bolted to the GE Tank. 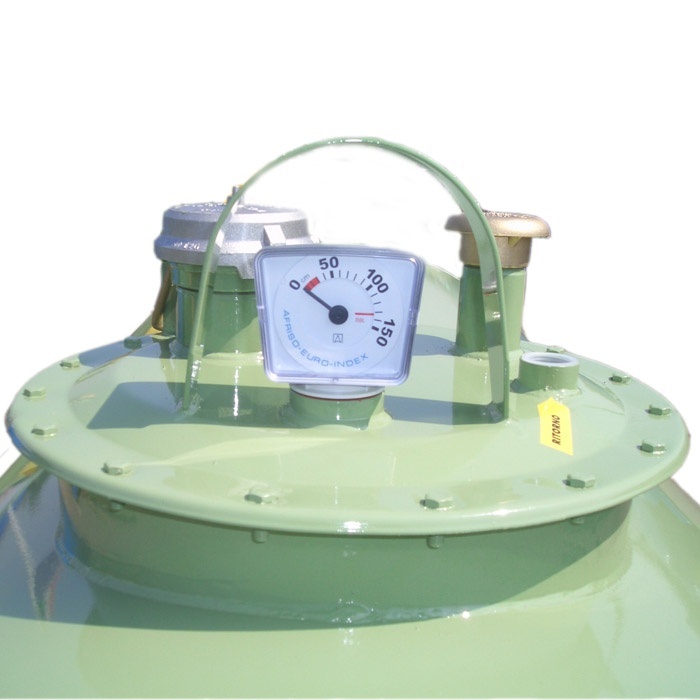 Overfill protection valve - certificate.